Will the Toronto Maple Leafs trade James van Riemsdyk for a top-4 defenceman? What will the Habs do with Alex Galchenyuk? The Hockey News: With Alexander Radulov signing with the Dallas Stars, the Habs could be less likely to move Alex Galchenyuk, especially if they cannot find a suitable return in the trade market. GM Marc Bergevin said he has money allotted to re-sign Galchenyuk. Contract talks are ongoing between the two sides. Colorado looking to trade Tyson Barrie? The Fourth Period: The Colorado Avalanche have been speaking with clubs about defenseman Tyson Barrie. The Toronto Maple Leafs and New Jersey Devils are among the teams believed to be interested in Barrie, though there are certainly other teams that have kicked the tires on his availability. It’s unclear what the Avalanche are looking for, specifically, in exchange for Barrie — they could look to acquire a younger defenseman as part of a package or they could insist of acquiring a young forward or two as part of a deal. Will the Leafs trade James van Riemsdyk? TSN 690: The Nashville Predators still haven’t found a suitable replacement for departed winger James Neal. 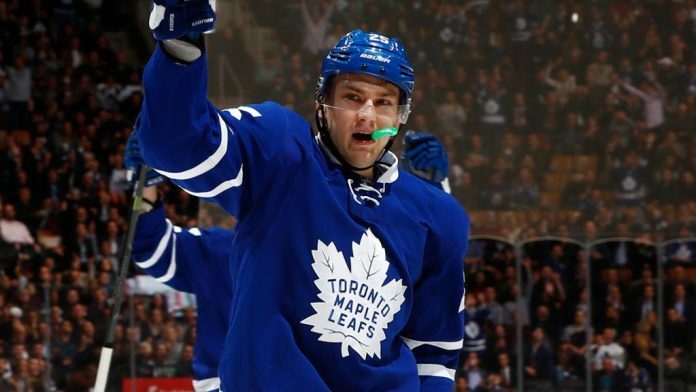 Darren Dreger wonders if there’s a fit there for James van Riemsdyk? Dreger cautions that’s merely his speculation but he feels Leafs GM Lou Lamoriello isn’t done dealing this summer. Lamoriello would probably want one of Nashville’s three rearguards in return. (Roman Josi, Ryan Ellis, Mattias Ekholm).